Established in 2014 in Livermore, California, the Tri-Valley Nonprofit Alliance serves organizations throughout the San Francisco Bay Area. TVNPA offers regular opportunities to meet and collaborate with peers to enhance and grow the skills and talents of the dedicated people who work and volunteer in the nonprofit sector. Organizations share their challenges and successes, announce jobs and employment openings, and notify each other of upcoming volunteer experiences and events. TVNPA provides nonprofit organizations with industry-relevant seminars, collaborative discussions and alliance networking at monthly meetings and organized events. The Tri-Valley Nonprofit Alliance was inspired by Livermore community leaders Katherine Young and Mony Nop during a chance meeting in an elevator. They joined forces with other nonprofit organization leaders to form a new local alliance addressing the unique needs of nonprofits in the Tri-Valley. Word spread quickly of this new alliance, immediately attracting nonprofit organizations from throughout the eastern region of the San Francisco Bay Area. In its first years, TVNPA has provided board directors, staff members and volunteers from more than three hundred nonprofit organizations with valuable resources and critical education. At monthly programs, organizations share challenges and successes, industry knowledge, job openings, access to local volunteer services, upcoming event information, and more. 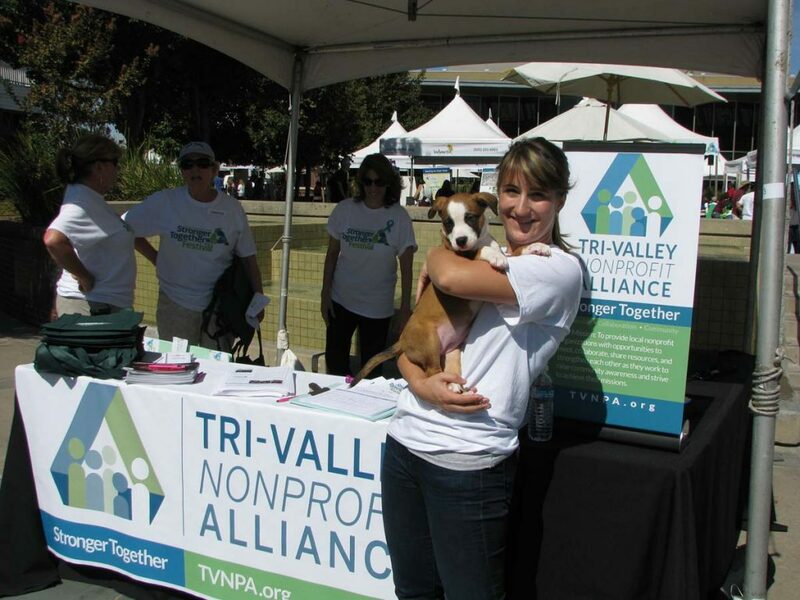 With an emphasis on the idea that “together, we’re better”, the Tri-Valley Nonprofit Alliance has quickly become a valuable local asset to participating organizations as they experience the benefits of collaboration to raise community awareness of their important work. As nonprofit organizations become stronger as a whole, so do the communities they serve.